First you have to install the plugin called One Click Demo Import, you can manually install that plugin or go to Appearance > Install Plugins and you will see how to install it automatically. 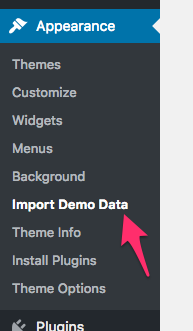 Click on Import Demo Data, there you can see all the available demos to import. That's it, after that you will get your site with all the content from the demo site.